Do you find it hard to promote your content? You send out emails to let people know about your latest blog post or guide, but do you really feel that they’re going to get excited about it? The fact is, any well-known blogger gets absolutely bombarded with emails everyday from people wanting their attention. Deep down, you know that your post isn’t that much better, even if it’s good. Here’s the thing: Even if you have AMAZING content, with targeted outreach and optimized emails, you’re going to be lucky to get 5-10 backlinks per 100 emails you send out. And that figure is going down all the time. However, there’s one tactic you can use to open doors with bloggers and communities, so that you don’t even have to ask for a link to get one. What I’m talking about here—building a tool for your community. 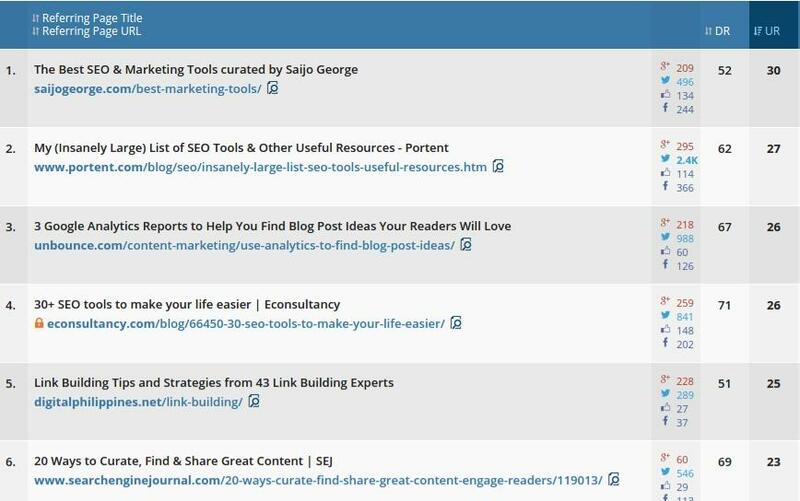 You can get more backlinks, connections, and traffic with a tool than most ordinary pieces of content. Additionally, you’ll also be left with a valuable asset that you can sell off. 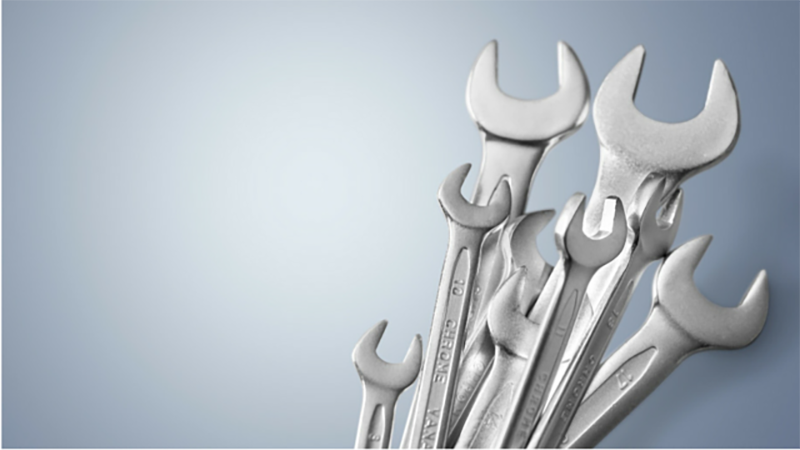 In order to understand what I’m referring to as tools, and quantify the return on investment (ROI) you can achieve, let’s look at some real tools. 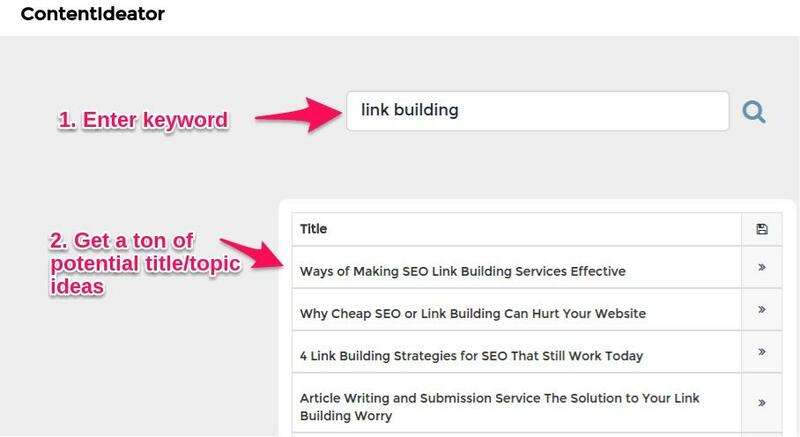 The founder of this tool, Artem (the co-founder) was unhappy with the current keyword research tools available, so he created KeywordTool.io. It’s a simple tool to use, but it’s pretty obvious that it took quite a bit of work to make. This is also a perfect example to illustrate that an originally free tool can be turned into a business if the interest is there, and people will still link to it. Imagine that happening if you put a paywall on your blog posts (not gonna happen). I reached out to Artem, and he told me that he also had the opportunity to connect with top influencers in digital marketing industry thanks to the tool. To top it off, it’s also gotten him and his partner a lot of keyword research work for businesses. We can’t really put a ROI on those things, but we can on the links. The average SEO agency charges $50-100 per high quality link. 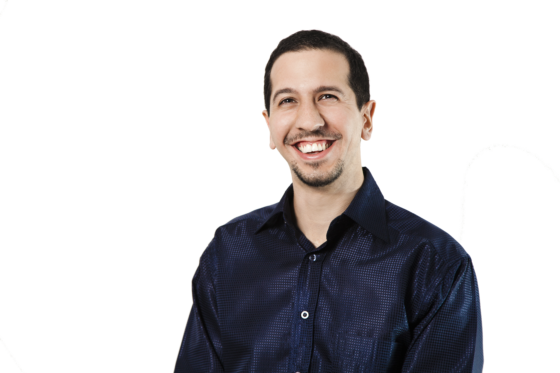 The ROI: Artem was able to get great links for a cost of $1.28 each, and that goes down as the tool continually generates more links over time. That’s 1-3% of the cost of normal “SEO links,” which is incredible. As you’ll see in the other examples, it’s not an exception either. FaqFox was the first tool I thought of when writing this article because it’s simple but very useful. The tool was made by Julian Flynn, who created it initially as an experiment. He wanted to see if a tool would open doors to new relationships. 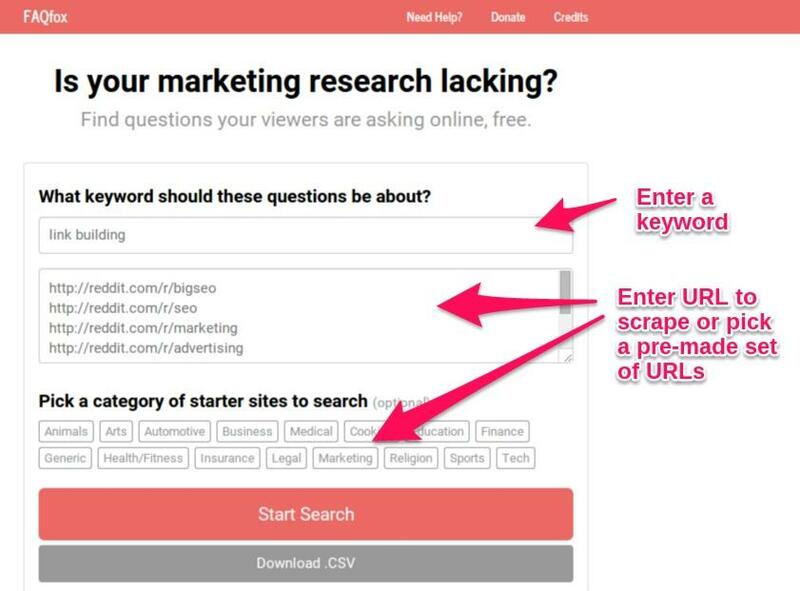 The tool uses the Bing Search API to bring up relevant threads and posts about your keyword. It’s pretty obvious how this is useful for some quick keyword or niche research. You can easily come up with dozens of content ideas from the extensive list in just a few minutes. The tool has received tons of the best links you could ask for. For example, it has links from Search Engine Journal, Unbounce, and Digital Philippines. Why did I write the linking root domains like that above? Because it looks like the tool has been SOLD. That’s one thing I mentioned upfront that you might be able to do later on. After getting all those benefits, Julian was able to profit again off the tool, and I guarantee it was for several times what the tool cost to make. The Content Ideator might be the simplest tool to use in this list. But it’s the only one that I have no clue where it draws its data from. You enter in a keyword into the search bar, but after you submit it, you magically get a ton of headline ideas. I know there are other tools that do this, but usually the titles are completely random and irrelevant. The results that I got from playing around with it a bit seem like they are based off titles in the same niche with different keywords – pretty cool. 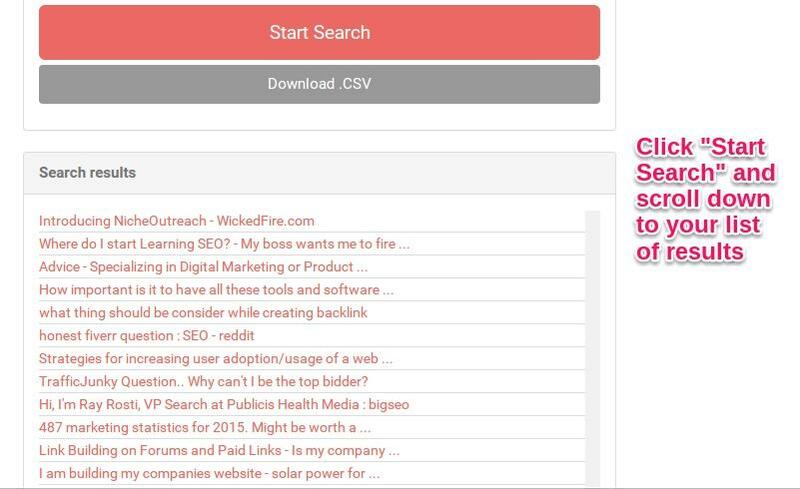 This tool was made by the team at Content Forest, who have a few other free tools for SEOs as well. In addition, they get 1,000s of visitors to the tool every month, and several qualified leads to their main product (ContentForest PRO). Be prepared for some real work. It’s going to take more time to create than a blog post, and it’s going to cost more as well. For those of you like me, who love to code, you can create your own. But I’ll show you how to create them even if you don’t. You might know the communities well enough to come up with 10 ideas off the top of your head. If not, I have a simple solution: go ask them. A great place to start is Reddit. If you’re not familiar with Reddit, read Neil Patel’s guide to marketing on Reddit. It’s basically just a huge forum with tons of different categories. Users can vote on the replies that they like, so you’ll only create tools that people are most interested in. Unlike a blog post, where most audiences don’t feel that it’s going to have a practical impact on their lives, they know a tool can—so get their input. Want to learn how to code and make tools yourself? Start with Harvard’s online introduction to computer science. Then, spend a few months practicing and you’ll be able to create a tool (at least a simple one). That’s what I did, but it’s not the path for everyone. Instead, you can hire a developer to create it for you. The cost of the tool could be anywhere from a couple hundred dollars, to tens of thousands of dollars (like Quick Sprout’s tool). It all depends on how complex your idea is. For a simple tool, you don’t really need the top of the line developers ($200+/hour). Unless you have the budget for it, I’d recommend going for a lower tier of developer ($60-80/hour). You can specify the rate that you can afford (or total budget) on any of those sites. You’ll still get plenty of applications. Pick a developer that has created small tools like yours before and that you feel like you can trust. Just be aware, the lower you go with your budget, the more likely you are to get an unprofessional, and low quality developer. Where should you get initial feedback on your tool? If you said in the community you asked for an idea from, you’re spot on. Ask them if it does everything that they’d like it to, or if they think it could be improved. Before you promote your tool, you want to make sure it’s ready. This is simple, but involves a lot of manual work yourself. It’s time to get links and build relationships. With forums and communities (think groups like LinkedIn/Facebook groups), it’s pretty easy to promote your tool. With your description, describe your motivations for the tools and how to use it. Since it’s a free tool, it’s rare for people to have a problem with it, and most will be enthusiastic. Subject: A free tool for your audience? I’ve read your blog for quite some time and I’ve gotten a lot out of it. In particular… (give an example of how you applied something specific). A while back I decided that I wanted to contribute something to the (niche) community myself, and built a free tool: (tool name and link). It… (describe what it does in 1-2 sentences). The initial feedback from other (type of people in audience) has been great so far on Reddit and (other forum/group). I’d love to get your thoughts on it! There’s no hard sell, because you have something that’s actually valuable for his/her readers. And if the tool is useful, as it hopefully is, you don’t even have to ask them to share it, just to look at it. They will likely share it on social media, and keep it in mind if it fits any of their future posts (and link to it). Is There a Tool in Your Future? Ultimately, it just means going above and beyond to provide value to your community, in any form. I don’t think I’ve seen a form of content that gets the same ROI as tools do, and that’s why I had to share this with you. Yes, it’s hard, maybe even a bit scary if you haven’t created one before, but that’s a big part of why tools get so much attention. I’m happy to answer any questions about creating tools, whether they’re technical or not. Just leave a comment below. Maybe I backed into this but I’ve built a tool for a niche market and like your idea of using it as a free offering to get members. Great post. Thanks for that Ahh- haaa moment!!! That’s great David, mind sharing the tool as an example? Would love to hear how it performs for you down the line. Cool Idea though! And definitely a springboard for my own article headline writing. Good catch Justin, must have got unlucky when I was looking for the source! I’m glad you got something useful out of this :).